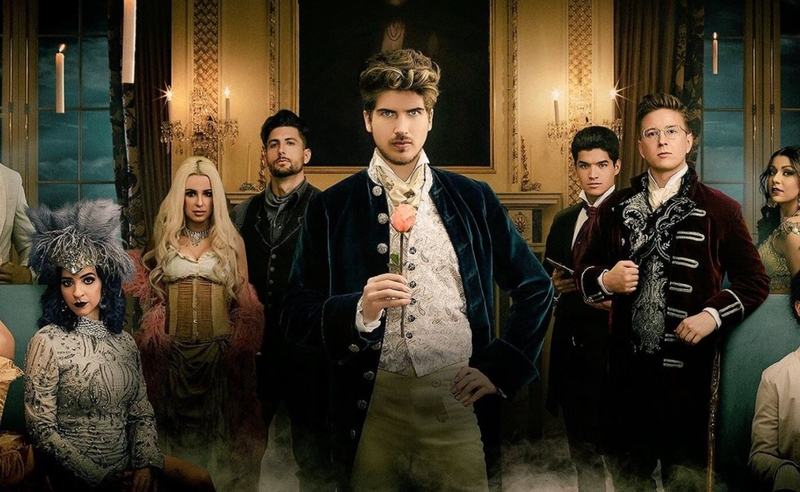 Popular vlogger Joey Graceffa has unveiled the star-studded cast that’s set to headline the second season of his YouTube Red series Escape The Night — a semi-scripted murder mystery that bowed on the subscription service last June and was renewed in October. Graceffa and YouTube made the casting announcement on Twitter with an image of participating creators decked out in ultra-glam period attire. (Last season, the series was set in the twenties and centered around a severed head that turned up at a dinner party). This year’s cast includes: DeStorm Power, Lauren Riihimaki, Gabbie Hanna, Tana Mongeau, Jesse Wellens, Alex ‘Wassabi’ Burriss, Tyler Oakley, Andrea Russett, and Liza Koshy. The series premieres June 22 on YouTube Red. The first season of Escape The Night was a runaway hit, and its first episode clocked 9.2 million views and 1.1 billion social impressions, according to YouTube. Starring GloZell, Shane Dawson, Eva Gutowski, and others, the series also took home a Streamy Award for ‘Best Ensemble’. In season two, each creator will embody a different persona, according to Instant. For instance, Koshy’s character has been nicknamed ‘The Explorer’, while Mongeau will play a saloon girl. Additionally, Power will play a billionaire railroad tycoon, Wellens will play an outlaw, Riihimaki will play an engineer, Burriss is a novelist, Russett is a mystic, Oakley is a thespian, and Hanna will play an over-the-top vaudeville performer.